The best fitness trackers for swimmers are the ones that give you the accurate laps data, comfort, workout data while being waterproof. By best fitness trackers for swimming we not only are considering swimming side, but also additional data which are used for land-based activities. This review of best fitness trackers for swimming consists of various features, ratings, battery life, pros and cons. If you are a serious swimmer, you would be very much in need of a variety of tracking data such as time lapse, heart rate monitoring, oxygen levels, and recovery scores. There are also various smart trackers which allow you to switch between tracking modes. You might also be interested in our best fitness trackers review. What I usually look out for swimming fitness tracker is the wearability, durability, comfort, water resistance class(either IP67 or IP68), features and compatibility. Now considering that this list is only about swimmers, we would go on to do a further review of the best fitness trackers for swimmers. The Garmin Vivoactive 3 GPS smartwatch is one of the favorite tracking smartwatches among swimmers. It measures your laps, distance, your heart-rate, VO2 max. The Garmin Vivoactive 3 GPS smartwatch comes with 15 preloaded GPS and indoor and outdoor apps such as swimming, running, yoga and much more. Garmin Vivoactive 3 GPS smartwatch will help you to track your fitness level with VO2 max and estimates. You will be also able to see your heart rates which are wrist-based. The Garmin Vivoactive 3 GPS smartwatch is waterproof and has great durability. The water rating is 5ATM. As soon as you start the smartwatch, it automatically starts to track your heart rate in seconds interval. Vivoactive 3 measures your oxygen capacity based on your fitness level and age. Other features include a contactless payment method, smart notifications, wellness monitoring. With a battery life of up to 7 days (13 hours GPS), Vivoactive 3 GPS smartwatch is the one choice swimmer would always look for. If you would like to have a minimal use of GPS( like 1 hour), the battery can be live for around 3 days. It takes about 1 hour 30 minutes to completely charge the watch. 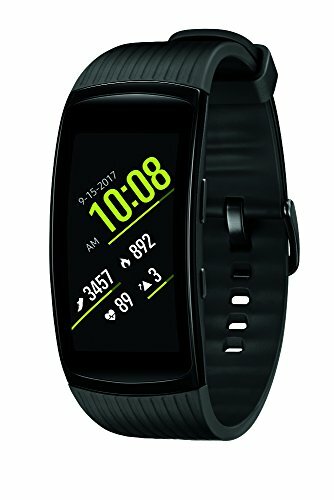 Vivoactive 3 is extremely good in features and does its job very well. 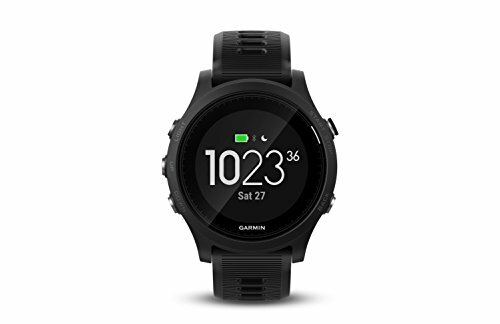 In our previous best fitness tracker reviews, we had included this premium Garmin Forerunner 935 smartwatch for extreme athletes. The Garmin Forerunner 935 is for extreme swimmers, runners, and cycling. Forerunner 935 measures your laps, distance, intervals, stroke types, drills, pace, heart rate, stride and much more. This GPS running smartwatch comes loaded with extreme features and wrist-based heart rate monitoring system. The Forerunner 935 has multisport features and you can wear it all day long. It is extremely lightweight (49 grams) for the features it provides. Loaded with various built-in sensors such as barometer, altimeter, and compass, you can monitor your elevation changes and evaluate your performance. The Garmin Forerunner 935 provides advanced dynamics for swimming including stride length and much more. The Forerunner 935 will help to analyze your training and recovery to prepare yourself periodically. Whether you are swimming in a pool or open water, the Forerunner 935 will help you switch between various features with just one switch button. You will be able to track your lap length, strokes, pace, stride and more. The battery can stay alive for 2 weeks in a single charge and can stay up to 24 hours with full GPS on. Forerunner 935 is feature rich smartwatch with loads of dynamic data and nice design. On our previous review of the best fitness tracker, you would have seen that Samsung Gear Fit2 Pro was our first choice for swimming fitness tracker. The Samsung Gear Fit2 Pro is extremely light-weight and feature-rich fitness tracker for swimmers. The gorgeous 1.5-inch curved AMOLED display is waterproof up to 5ATM. The Gear Fit2 Pro comes with various tracking skills and usual metrics such as lap time, count, stroke types. Because the company Samsung is partnered with Speedo’s ON swimming platform, it will give you a lot of data to analyze and drill down your workout plans. The Gear Fit2 Pro is water resistant with ISO standards of 22810:2010. 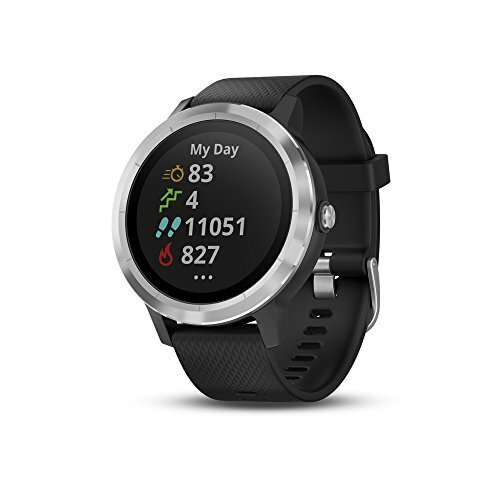 The smartwatch also comes with configurations such as UA Record (World’s first 24/7 connected health and fitness system), MapMyRun, MyFitnessPal, and Endomondo. Gear Fit2 Pro comes with a battery capacity of 200mAh and has a typical usage time of approximately 4 days. With full GPS usage, it stays alive for 9 hours. The new Fitbit Versa Special Edition Smartwatch lets you measure a lot of data including the Laps, distance, heart rate, with 15 modes of exercises. The Fitbit Versa is water resistant up to 50 meters so that you can do all your swimming in the pool or open swimming. Fitbit Versa is one of the coolest hybrid watches from the brand Fitbit. The Fitbit Versa comes with a dressy woven band and extremely good looking modern watch face for your workday. If you just want for the purpose of swimming, you can actually remove your band and replace with a silicone band to keep your device more durable and protected. The battery life is 4+days in a single charge. With Fitbit Versa, you can track all your daily activity along with 24/7 heart rate and sleep stages. It also comes with a built-in NFC chip for making any secure payments. Fitbit Versa is water resistant up to 50 meters and can record all your workouts and you can connect it to the smartphone GPS for more accurate pace and distance. Other features include smartphone app notification and phone-free music. Fitbit Versa is also lightweight and has good features for women as well as it includes periodic cycles. The Swimovate PoolMate2 swim sports watch is for those swimmers who just want basic data without any fuzz. The simple and durable PoolMate2 swim sports watch is great for swimming in the pool and open water. The swim pedometer mode will measure all your distance and speed, laps, sets, strokes, time, calories, and efficiency levels in large characters on the crystal glass face. PoolMate2 comes with a great battery life of 24 months and a 99 set chrono mode for use in other activities. The PoolMate2 can store and recall around 50 sessions of data. The PoolMate2 does a very good job in counting laps. But sometimes, it may miss a lap while doing a backstroke. As already said, this is basic swim tracker for regular swimmers and it is a fine watch for counting laps. But for people really in need of good data on their swimming, you must go for the Garmin Forerunner 935 or Garmin Vivoactive 3 GPS smartwatch. The Misfit Shine Activity & Sleep Monitor is IP68 class water resistance fitness tracker for swimmers. Misfit Shine is swimproof and dons aircraft grade anodized aluminum disc and hence it is extremely light-weight. It doesn’t require any charging because it comes with a replaceable battery which will last up to 6 months. Misfit Shine can wirelessly sync with your smartphone and upload your data. You can store up to 30 days of your data. Talking about swimming, the Misfit Shine is waterproof to 50 meters and hence you can wear it for any pool or open water swimming. The Shine is beautifully crafted fitness tracker in the market and provides really good comfort. The build quality is also very good. If I have to compare it with PoolMate2 and Misfit Shine, I would say the real waterproof tracker is actually the Misfit Shine. Each fitness tracker has its own features and limits. The tracking features depend also on the technology involved behind the tracker. The brands like Garmin, Fitbit, and Samsung are well ahead in tracking technology. Do you agree with our list of best fitness trackers for swimmers? What are your choices and what fitness tracker do you use? Don’t forget to share your comments below. Here is the list of best fitness trackers for swimmers. The list consists of swim tracking features, pros, and cons, rating, reviews and links to the products.